It's Time To Turn The Tap Off! 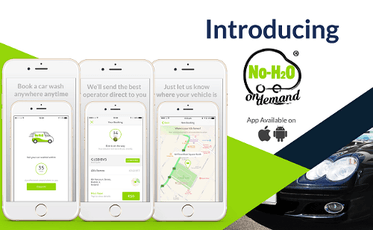 No H2O is a waterless car-cleaning product that is unrivaled. It can be used on the exterior, interior, windows and on all levels of dirt from light traffic film to heavy road grime. Our scratch-free formula leaves an amazing polished finish and has been approved by Boeing and Airbus for use on commercial aircraft. No water, no hoses, no buckets, no sponges and no mess. The products can be used anywhere and anytime, indoors and outdoors. Provides a seamless user experience with a clean user interface that enables a car wash service to be booked in just 4 clicks. 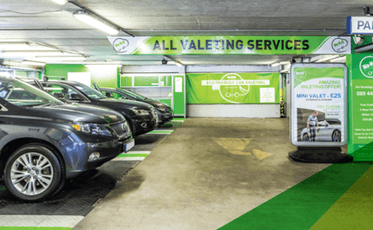 Our operators can deliver our waterless carwash services via a number of different modes of transport including cars, vans, scooters and even bicycles. The app generates a digital ecosystem of valuable user data enabling cost-effective targeting and re-marketing to the consumer. On Demand App can be switched on and operational in a matter of days. Valuable digital data harvested from our App to analyze and develop the business. Strong environmentally friendly brand offering exceptional customer experience. Quick multiple franchisee roll out capability within 12 months. A variety different franchise models offered maximizing earning potential & return. Our services can be applied to many sectors; cars, coaches, buses, trucks, aerocare etc. Innovative product means vehicles can be cleaned anywhere – no buckets, sponges, hoses & NO WATER. Product certified by leading aircraft manufacturers Boeing and Airbus. Extensive product range with distribution opportunities for trade and retail sectors. Head office marketing consultancy to drive customers to No H2O Franchises. On-going certified training for all aspects of the business. Negotiating & planning assistance for franchisees when applying for tenders or new outlet locations. Access to No H2O’s suppliers and trading partners. Static Franchise: These locations offer the No H2O franchisee an immediate captive audience to generate business. Currently within our static locations, 70% of our customer base purchase our service on impulse and the remaining 30% book online. Corporate Franchise: Our waterless system enables cars to be cleaned anytime and anywhere. No water means no drainage and no mess and this has led to No H2O developing lucrative contract partnerships with a number of large corporations. 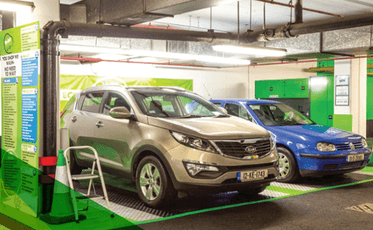 Corporate franchises come with a fully branded “Pop Up” style valeting/detailing system enabling franchisee to set up in the most convenient location. How Does No H2O Generate Business? You are free to generate your own clients within our operational guidelines and will also be assisted by the No H2O Head Office marketing consultancy service. This service offers ideas and techniques to penetrate various level of customer. Where applicable No H2O will provide corporate contracts with existing and future business partnerships. What Training Does No H2O Provide? No H2O will provide franchisees with substantial training at the No H2O training center in Dublin, Fort Lauderdale or Dubai in another allocated training facility. Training will include cleaning processes, basic business management, customer care, customer approach and No H2O business ethics. Join The Car Wash Revolution! REQUEST INFORMATION NOW TO GET IN TOUCH AND LEARN MORE!